As Easter approaches, the spirit of care and sharing in the Kolowaré parish is growing. SMA Father Silvano Galli writes that “since our parish, Saint Léo IX, was established on 17 December, 2016, the parish council has been very active, taking its responsibilities very seriously and particularly in this Easter period promoting various initiatives”. “First of all, Kolowarè village is divided into five basic Christian communities (CCB) with a president, a representative of various Movements and others elected by the community, plus three chosen directly by me, as well as a religious Sister and myself”, continues Fr. Galli. 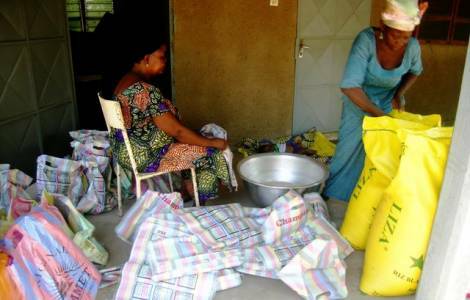 “At the beginning of Lent, with the help of the various CCBs, the most needy cases in their neighbourhood were identified and thanks to the Caritas commission, basic foodstuffs were bought: rice bags, sardine packets, tomato packs, packs of spaghetti, oil cans, packets of nuts, and sixty bags to pack food, with as many bottles for oil that two Caritas leaders have prepared to distribute at Easter”. Fr. Galli at the local Kolowaré market. “Currently we are engaged in the search for resources to invigorate our parish life, in the short and long term. For immediate resources we have found a new formula for a second collection. In the past few years, in fact, it was about one euro. Now instead, every Sunday a “special” collection is made for different needs: for births, for the CCB movements… and so we went from €1 to more than €10″, according to Fr. Silvano. To try to generate long-term resources the Council planted 60 plants of cashew nuts, bought 60 bins to water them during the dry season. 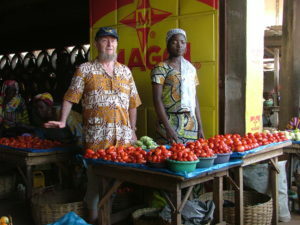 Cashews are then sold at about €1.50 per kg. But it takes about ten years before the trees produce. “In May and October we meet with each family of the various CCBs to pray the family rosary,” concludes Fr. Galli. 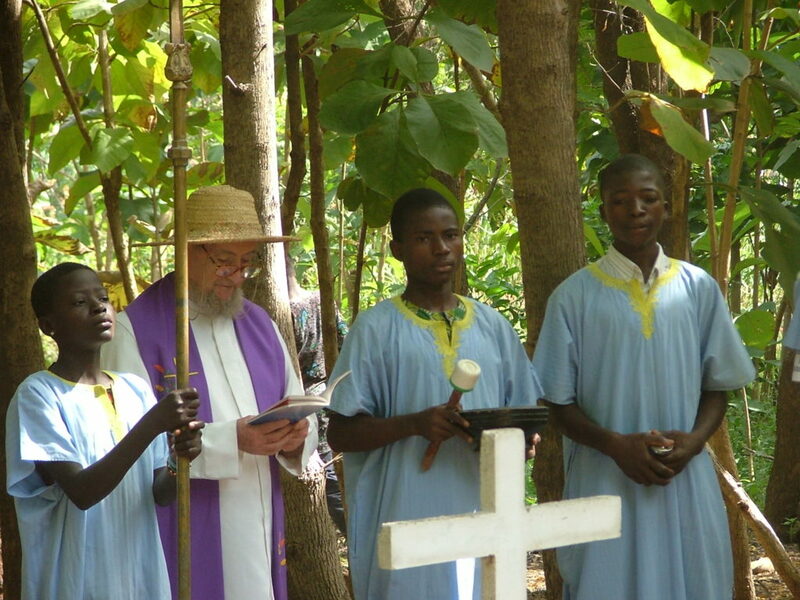 Fr Galli officiates at the burial of a parishioner in the local cemetery.